MBA (Melb), B. Bus (Mktg) RMIT, ICF Master Certified Coach (MCC); Neuro-linguistic Programming Master Practitioner, Certified Leadership Circle & Leadership Culture Practitioner; Certified DiSC Practitioner, Certified MBTI Practitioner. Natalie is our new Team Leader - Executive Coaching. She met Heather-Jane our Chief Executive when they were both serving on the ICF Board; as the CEO of The Open Door Coaching Group (RTO No. 21858), she’s been a friend, peer mentor coach & strategic partner ever since. 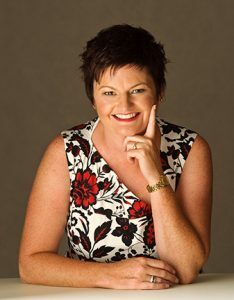 She is one of Australia’s most experienced coaches & a recognised speaker & author. Her passion, creativity & commitment assists & supports individuals, teams & companies to create lasting cultural change using coaching skills. Natalie’s a champion of implementing coaching culture within organisations & her vision, is that coaching conversations in our client organisations are about "the way we do things around here". She’s been coaching for 15yrs & prior, had 10yrs in business marketing, & product development, gained primarily in Tech & Finance Industries. Natalie is sort after for her expert facilitation & speaking skills, particularly in coaching leaders to coach teams. She is regarded as a mentor by many & works Nationally/Internationally at all levels across the Private, Public & NfP Sectors. Natalie has held positions of Senior Business Analyst, National Product Manager, General Marketing Manager, & Senior Project Manager for companies including ANZ Banking Group & Global Technologies. She is currently enrolled at The University NSW Canberra to study her Doctorate. She holds a Bachelor of Business Marketing (RMIT) & an MBA from The University of Melbourne. She also holds the 10536NAT Dip. in Workplace & Business Coaching; TAE80210 Graduate Dip. in Management; & TAE40110 Cert IV in Assessment & Workplace Training. Natalie is one of only 18 coaches in AUS to be an ICF Master Certified Coach (MCC) thus qualifying her as an accredited Master Coach & Trainer. She has also held leadership positions with the International Coach Federation (ICF) for Victoria. As an experienced & creative writer, she has developed & written the workbooks & leadership programs used by Open Door & our clients, including course documentation for the Certificate IV & Diploma of Workplace & Business Coaching. Her first book Bring Out Their Best: Inspiring a Coaching Culture in Your Workplace has been widely distributed (2nd Edition). It features coaching models & frameworks & is the first book in Australia to feature real, Australian case studies. In her spare time Natalie is well on the way to achieving her black belt in Taekwondo & has recently taken up the piano.As a volunteer she is Director & Junior Activities Coordinator for The Waratah Beach Surf Life Saving Club. She is a qualified surf life saver & passionate about bringing these skills to kids, so also coordinates the Nippers Program for over 180 children each summer. In 2016 she was a finalist in the Life Saving VIC Excellence Awards for Nipper Volunteers.